2019 ABE Recruitment Weekend Poster Session! On Thursday, February 7th ABE will host prospective students. 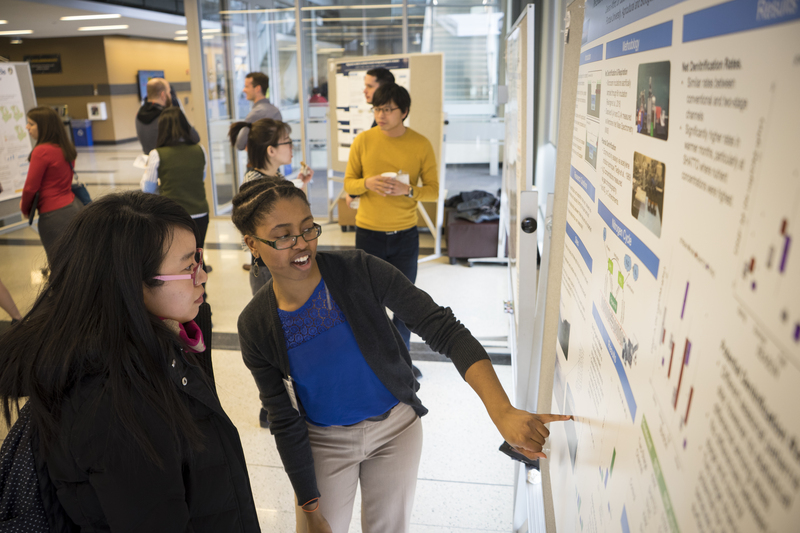 As part of the events, we will hold a short Research Showcase Poster Session where the prospective students, current students, and faculty will be able to interact with and learn about some of the research efforts in our department. We are looking for about 30 current graduate students to present posters. Ideally, we want posters that have already been printed as this event is not intended to add more work. We would like to save that effort and present at the GSA symposium in March. If you have a poster that is yearning to be shared again, we need you! You will have the opportunity to make an impact on the prospective students’ impressions of the department and hopefully help them choose Purdue ABE! The Research Showcase Poster Session will be held on February 7th from 5:30 – 6:30 PM in the PMU South Ballroom. Dinner will be served immediately after and we encourage you to stay for dinner. If you are willing to participate, please fill out this survey by February 1st. If you have any questions, feel free to contact Dr. Abby Engelberth aengelbe@purdue.edu. Thank you for your willingness to contribute to ABE! Previous PostSpring 2019 Philanthropy OpportunitiesNext Post2019 ABE Recruitment Weekend-Hosts Needed!